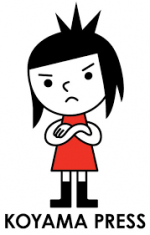 Koyama Press' Annie Koyama released information on the line's Fall 2018 season this morning, as fans gather in Toronto for the Toronto Comics Arts Festival, a longtime release event for the iconic alt-publisher. 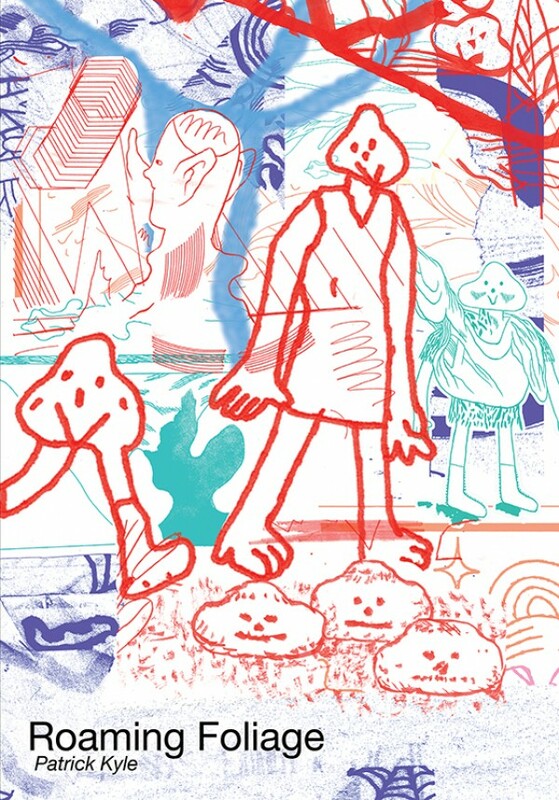 Highlights include a mix of anticipated work from Koyama regulars like Michael DeForge, Patrick Kyle and Keiler Roberts, in addition to stand-alones from talent like the always-great Mickey Zacchilli, Nathan Gelgud, John Martz and Britt Wilson. The last two artists have books from the press that are designated as "All-Ages." Here's this Fall's Koyama line-up, with every release hitting in September. Vitals: Brat, Michael DeForge, 160 pages, board cover, 9781927668603, $19.95, September. Ms. D. is THE JD, but she's losing her edge. Will her next act of delinquency restore her legacy? 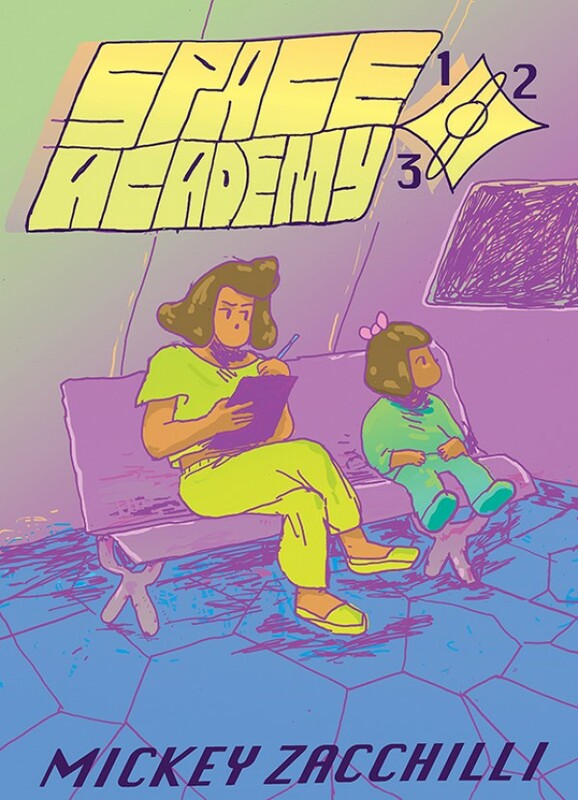 Vitals: Space Academy 123, Mickey Zacchilli, 216 pages, softcover, 9781927668634, $18, September. Mickey Zacchilli was born in 1983 and lives in Providence, RI. She is a massage therapist and a purple belt in Brazilian jiu-jitsu. Zacchilli's sprawling, wild and woolly, romance, adventure epic RAV was published in two collections by Youth in Decline. 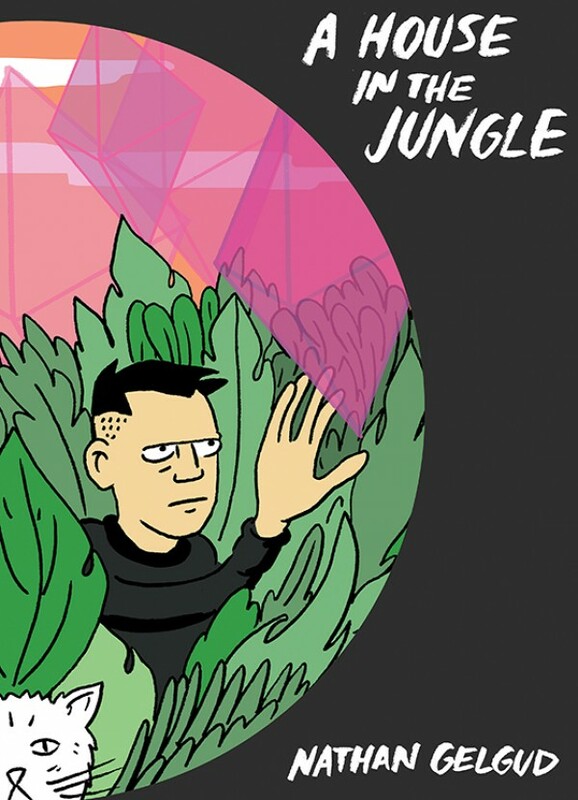 Vitals: House In The Jungle, Nathan Gelgud, 288 pages, softcover, 9781927668627, $24.95, September. A potent pineapple dealing hermit's transcendental quest is disrupted by the encroaching townspeople he supplies. Then things get weird. Vitals: Roaming Foliage, Patrick Kyle, 144 pages, softcover, 9781927668641, $15, September. The inhabitants of a garden grown from a robot's imagination are thrust into turmoil due to its creator's crisis. Flora, fauna, fantasy, and fine art combine in Patrick Kyle's ramble through a bramble that is as art brut as it is Tolkien. Mythopoetic and punk, Kyle builds worlds, and in this case gardens, that are uniquely his own. Patrick Kyle lives and works in Toronto, ON. He is the author of the graphic novels Black Mass (2012), Distance Mover (2014), Don't Come In Here (2016), and Everywhere Disappeared (2017). At the 2016 Doug Wright Awards, he won the Pigskin Peters Award for New Comics #6 and 7. 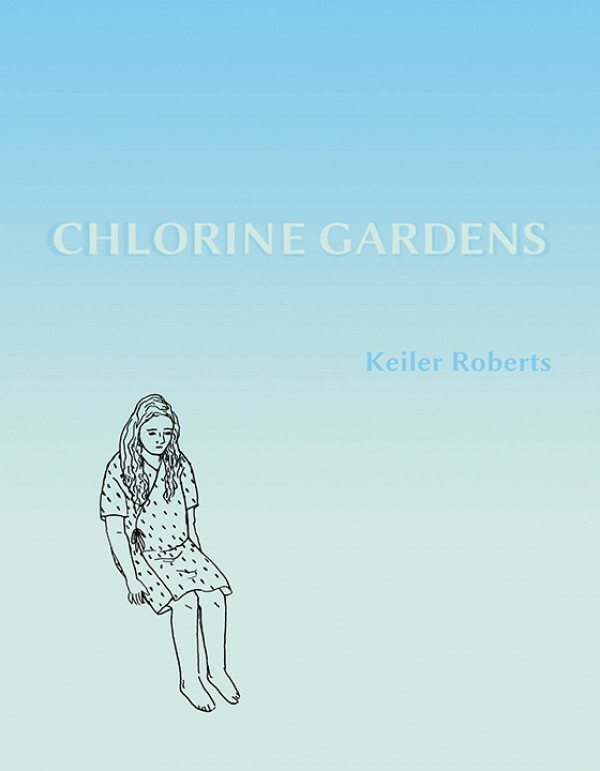 Vitals: Chlorine Gardens, Keiler Roberts, 128 pages, softcover, 9781927668580, $12, September. Keiler Roberts doesn't do slice of life; she gives you the whole pie. Dealing with pregnancy, child-rearing, art-making, mental illness, and an MS diagnosis, the parts of Chlorine Gardens' sum sound heavy, but Keiler Roberts' gift is the deft drollness in which she presents life's darker moments. She doesn't whistle past graveyards, but rather finds the punch line in the pitiful. 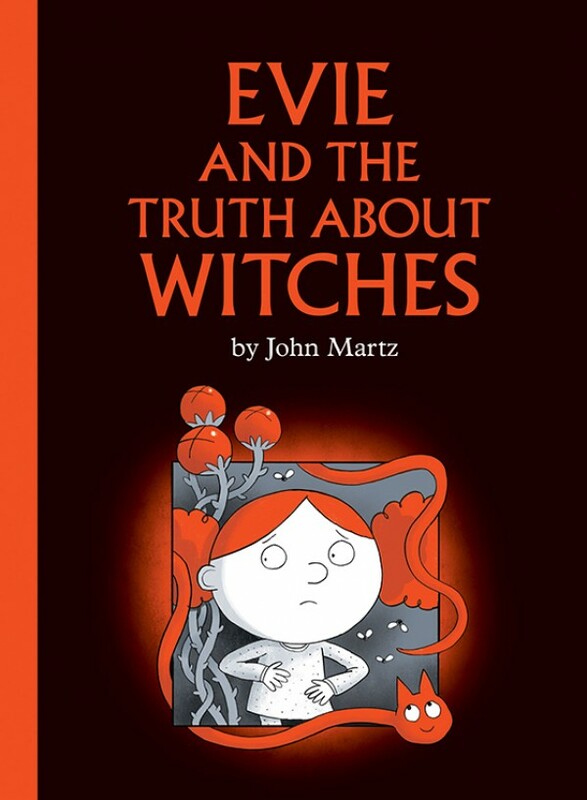 Vitals: Evie And The Truth About Witches, John Martz, 56 pages, paper over board, 9781927668597, $19.95, September (ALL-AGES). Witches have a bad rap, and Evie's ready to learn the truth, but remember some spells are better left unsaid! 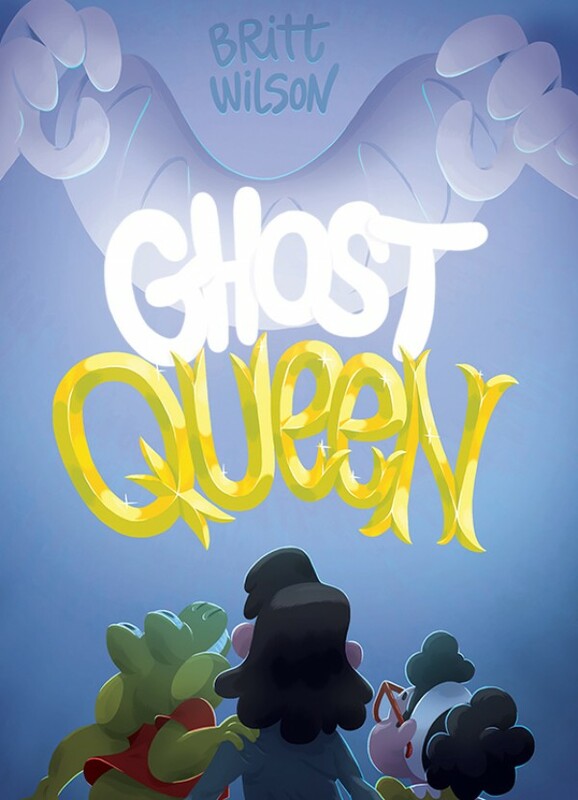 Vitals: Ghost Queen, Britt Wilson, 112 pages, softcover, 9781927668610, $15, September (ALL-AGES). The good news: the house is parent free. The bad news: it's lousy with ghosts. Luey, Miri and Phil don't need a babysitter, but they might need an exorcist. With dad out of town and mom hosting an emergency yoga retreat everything was junk food and scary movies until the ghosts popped up. Now it's up to the kids to banish the banshees. Britt Wilson presents another rollicking romp in this fun-filled phantasmagorical fantasy.